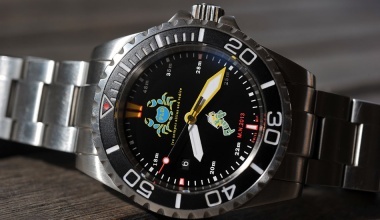 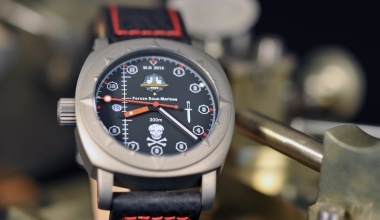 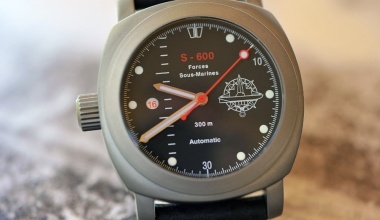 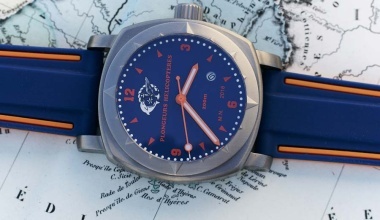 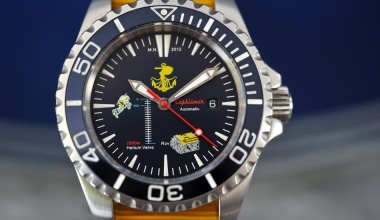 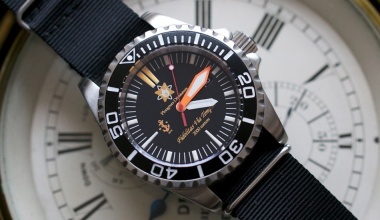 This numbered watch in Limited Serie has been developped for this Marine Nationale cell by DOLPHIN WATCHES with the help of Sébastien J (Premier Maître) and Olivier N Capitaine de Frégate) who authorized the symbols on the case and the dial. 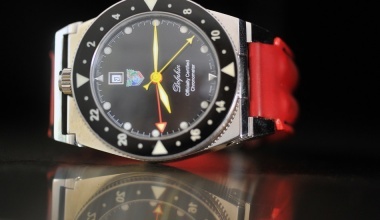 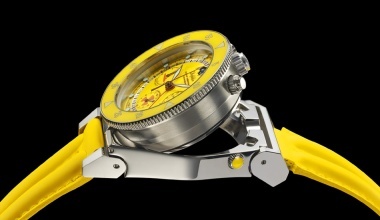 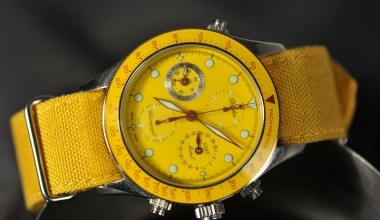 Movement Automatic MYOTA with date, with Cephismer Force Action Navale dial. 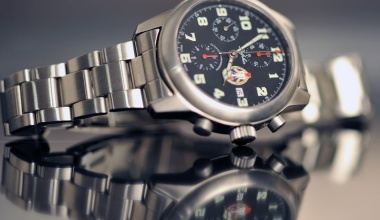 Case 42 mm 316 L Stainless Steel case, with screwed engraved and numbered back. 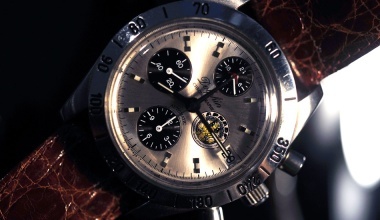 Crown Screwed crown at 4H00. 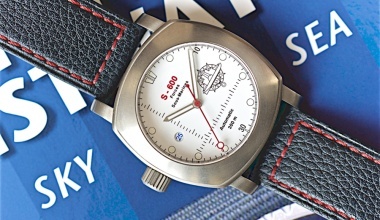 Limited serie 200 numbered pieces.